Tucson, AZ – Austin Peay State University’s baseball team saw a program-record five freshmen named to the 2014 Louisville Slugger Freshmen All-American Team, selected by Collegiate Baseball Newspaper. 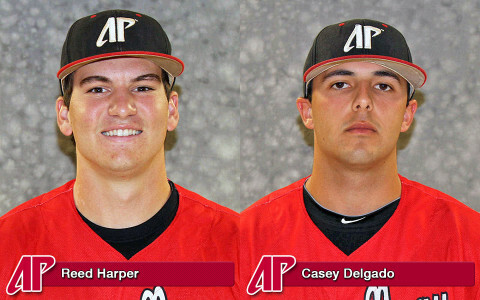 First baseman Dre Gleason, shortstop Logan Gray, outfielders Cayce Bredlau and Ridge Smith as well as infielder/pitcher Alex Robles were named to the team. 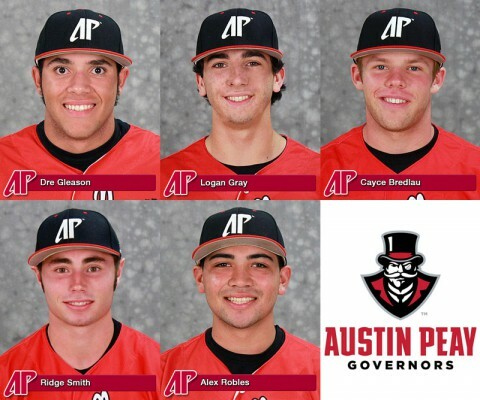 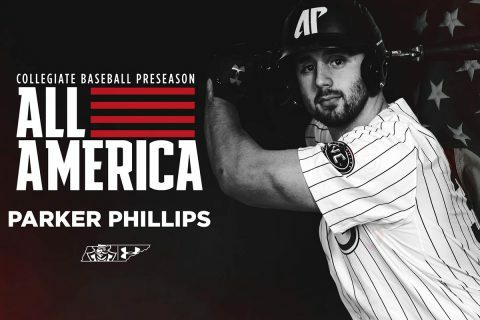 APSU’s Dre Gleason, Logan Gray, Cayce Bredlau, Ridge Smith, and Alex Robles named to Louisville Slugger Freshman All-American Team. Clarksville, TN – Junior Craig Massoni hit .634 and senior Casey Delgado struck out 16 batters to lead Austin Peay State University to a road sweep against UT Martin last weekend, earning the pair adidas® Ohio Valley Conference Co-Player and Pitcher of the Week, respectively, the conference office announced, Monday.